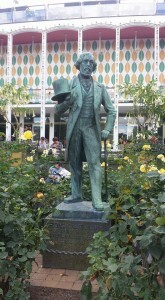 Since hearing about Tivoli Gardens in Copenhagen I have always been drawn to the idea of taking the kids there. Strange for me as, unlike my wife, on the whole I detest the theme park experience. 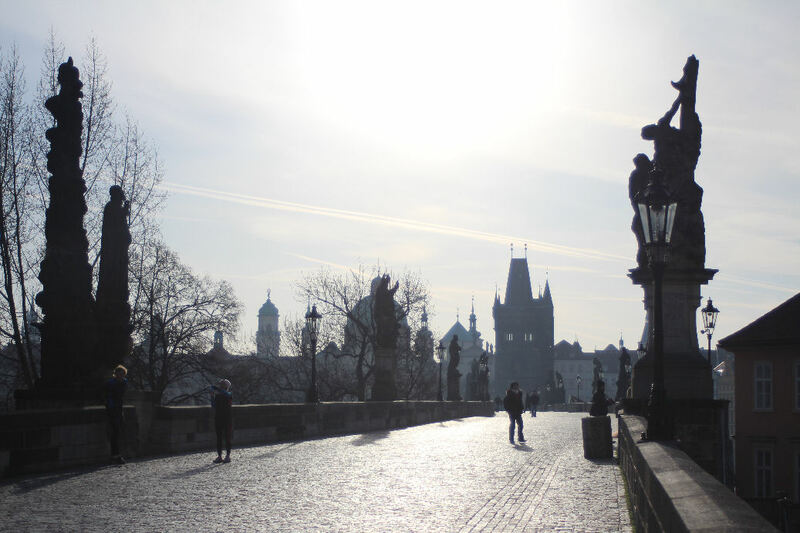 So as we planned another European city break as part of our ‘Dip our toes in the travel world and slowly expose the children’ venture we briefly flirted with the idea of Berlin, Budapest or Salzburg before landing on Copenhagen. This would be the final mini-break before we set of for longer adventures with the children. 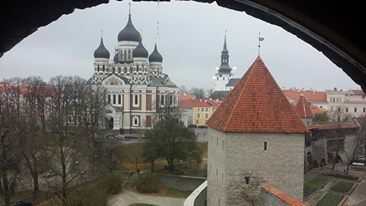 With the exception of a day out to Tivoli we wanted to travel on a budget for the 4 days we were there. 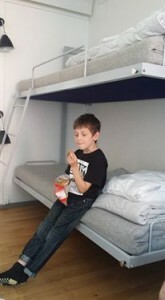 We found cheap accommodation in a family room at DanHostel. The location was perfect for Tivoli but maybe a little bit out of the way for other parts of the city, especially with little legs. This would be our only criticism of the hostel, otherwise it was fantastic. Very friendly and helpful staff. The room was sufficient for our needs and had en-suite toilet and shower. They had a bar on the ground floor. In the basement had kitchen and laundry facilities along with a kids corner with toys and free table football which proved a great hit with our two. Shortly after checking in we took a walk to the National Museum. It is free to enter and has a children’s museum. The kids saw how an old school classroom may have looked, what an Indian shop would look like and learned about the Vikings. The Viking exhibition allowed them to dress up, complete with wooden swords, and clamber into a replica Viking boat. We did venture into the main museum but the children were getting tired and the exhibits didn’t hold their attention much. They did love the mosaic’s on display and the ancient Viking rune stones but we didn’t stay long enough to explore more exhibits. We walked to Nytorv where we sat in a square outside the courthouse and had something to eat. The kids enjoying the Danish hot dogs and we had some fruit from a market stall. After that we made our way back to the hostel via City Hall Square. After a nights rest the following day was dedicated to Tivoli. We entered the park at 11am when it opened and spent a fantastic 12 hours family time in the park. Tivoli is a deceptive space in the centre of Copenhagen which has rides for both younger children and thrill seeking adults. There is also a stage with open ground where performances of various types occur during the day and lots of restaurants all within the park. This was our one splurge of cash for the trip and we had paid for All-Inclusive wrist bands. The deal got us access to as many rides as we wanted to go on (we stuck with the kids rides throughout the day), a photo each from one of the rides and a meal at one of the specified restaurants. At no time did we have to wait for too long in a queue for a ride which made the whole experience with the kids so much better than other theme parks we have attended with them. With our youngest getting tired we left Tivoli at 11pm and took the short walk back to DanHostel – very satisfied with the experience. The next day, after a bit of a sleep in, we headed off to the grounds of Rosenburg Castle. While we didn’t go into the castle itself the kids had fun crossing the bridge over the moat and playing around in the gardens and parkland. 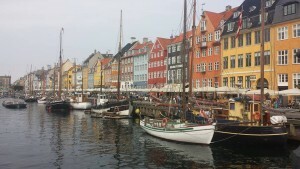 A short walk took us to the famous Nyhavn, meaning ‘New Harbour’, a 17th century canal. The area had a bad reputation for a long time but since bringing in historical wooden ships and painting the old townhouses in bright colours it has turned the reputation around and is now one of the most iconic pictures of Copenhagen. 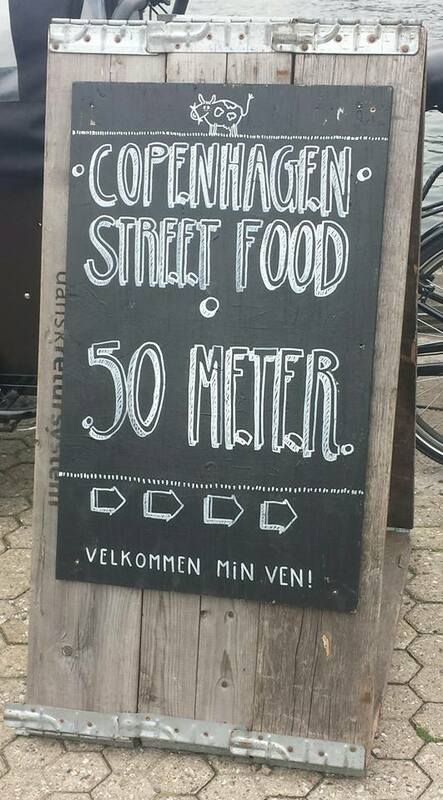 We were travelling on a budget and were well aware that Copenhagen’s many fine restaurants had a high price tag. 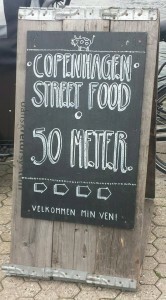 However we had heard about Copenhagen Street Food and thought we would try it out. Located in an old paper mill, Copenhagen Street Food offers a range of international food stalls with communal seating either inside on benches or outside on deckchairs!. It is located across the harbour from Nyhavn so we took a short ride on the harbour bus and then walk from the Opera House. We were not disappointed by either the food or the prices of Copenhagen Street Food and found lunch to suit us all, including a gluten free option for my wife who has Celiac Disease. Right next to Copenhagen Street Food is Experimentarium City, a science museum aimed at families and kids. We spent the afternoon in here. The first section of Experimentarium City involved all the members of the family ‘checking in’ to various activities using our wristbands. Each activity was fun and involved the whole family while spreading the message of the importance of exercise. Photos or videos are taken during each activity and you can have these emailed to you by providing an email address when registering the family. The second section had interactive science displays, much like the Glasgow Science Museum, but just not as much to do as Glasgow. However the kids enjoyed the interactive displays, and especially enjoyed the water experiments outside. We headed back to Copenhagen Street Food for our dinner before taking a walk along the canals of the Christianshavn district back to the hostel. After checking out of the hostel in the morning we had some time to kill before our evening flight home and we headed back to Nyhavn where we had spotted canal tours at a reasonable price. 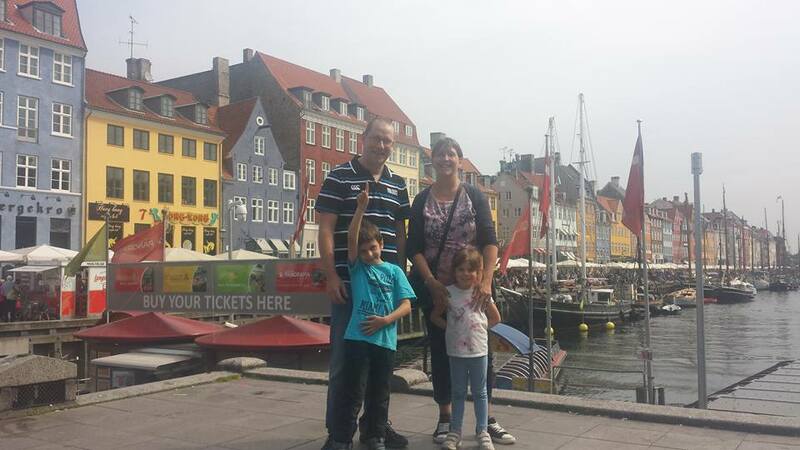 The tour took us around Copenhagen via the harbour and canals while we relaxed and listened to the commentary. After a while though the kids lost interest and both just rested up against us for a snooze!! The people of Copenhagen were really friendly, however we found Copenhagen harder to travel around using public transport than any of our previous city trips. The city was small enough for an adult to walk around but a little too large for little legs. For that reason I feel we felt we didn’t fully connect with Copenhagen in the same way we had with other cities we have been too. 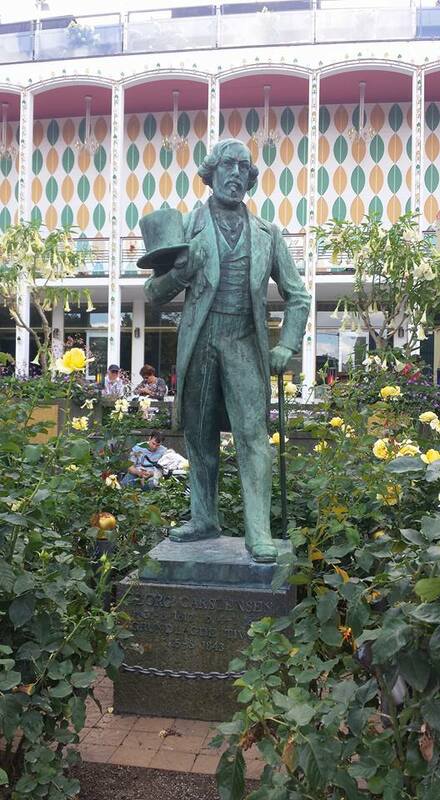 The best day by far though was the magical day we spent at Tivoli Gardens. Despite not liking theme parks this little gem won me over.